During my many years of treating and studying faces I came across a very common but difficult to fix problem-festoons. This is the name Plastic Surgeons use to describe puffy lower eyelids that stand out and create a half-moon line on your upper (malar) cheek. I’ve studied this problem for a long time, during 2010 Aesthetic Society meeting I’ve listened to almost 5 hours of lectures on how Plastic Surgeons around the world fix it surgically and let me tell you it’s not an easy surgery! My experience with it was trying to conceal cheek/eyelid contour irregularities with Radiesse and Juvederm and though it would look good the first few weeks it goes back to a deep furrow with a vengeance. The only product that proved to work magic so far is Sculptra. It seems that it works two-fold: gets the volume back and strengthens that ligament separating fat between eyelid and cheek. 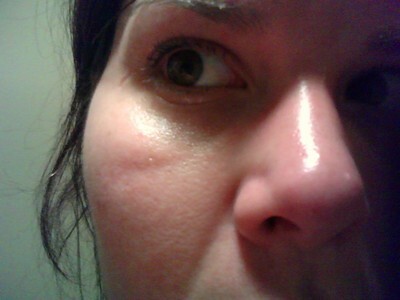 Another treatment that I’ve seen improve it is Ulthera and Titan-both stimulate collagen gently and tighten the skin. I looked up festoon and wikipedia returned “a hanging ornament decorating buildings during festivities”. To me it sounds more like an angry animal, but then again I have wild imagination. A lot of people have this anatomical feature, even children, but with age and overall volume loss it can look worse and contribute to the tired sick look. The good news is now we have non-invasive effective methods of dealing with it.